Pixelache | Greetings from Kultivator Dyestad farm, Öland, Sweden! 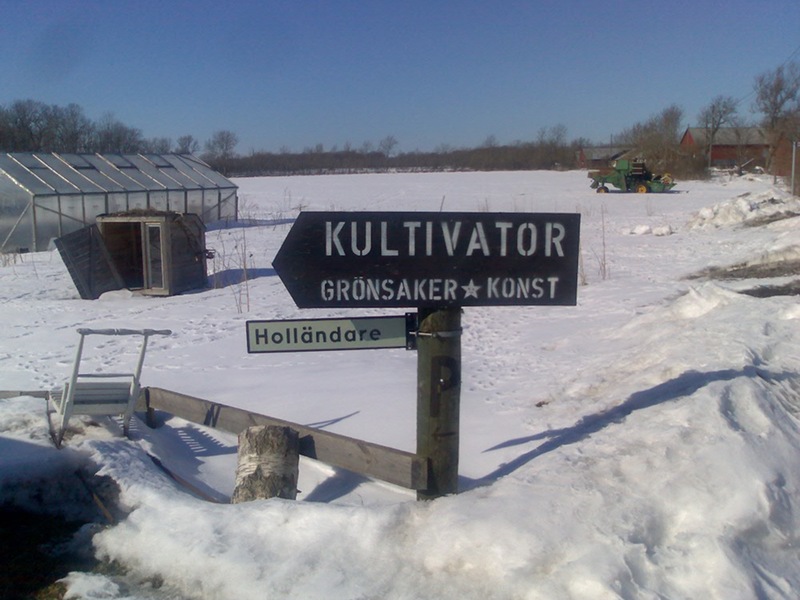 News : Greetings from Kultivator Dyestad farm, Öland, Sweden! Greetings from Kultivator Dyestad farm, Öland, Sweden! As part of Kultivator's preparations for The Wedding Between Art and Agriculture in July 2010, Tapio Mäkelä and Andrew Paterson were invited from Finland to contribute to their 'Land-reform and open-source?' seminar. Kultivator's related 'Lysning' exhibition and event programme is hosted by Kalmar Konstmuseum on the mainland next to Öland. Kultivator will be presenting their work and plans for the ceremony during the 'Herbologies/Foraging Networks' Seminar on Saturday 27th March, 13-17, in Kiasma Seminar Room during Pixelache Festival.